In a pitcher, combine pisco, lime juice, tangerine juice, and club soda. Put 1/2 cup ice cubes in each glass (12- to 14-ounce size) and fill with pisco mixture. Garnish with lime slices. This recipe yields 12 cups; 12 servings. 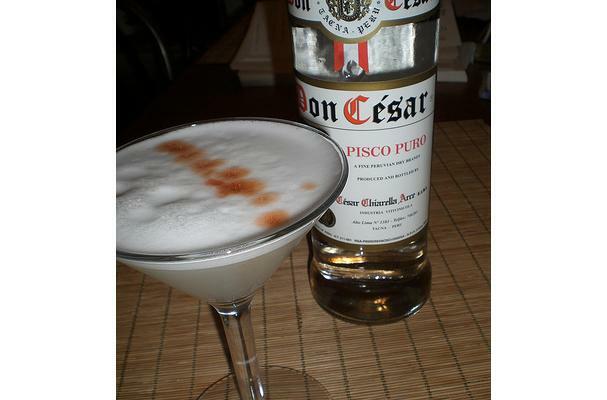 Comments: Pisco is a South American brandy made from Muscat grapes; for less intensity, substitute a Muscat wine such as Essensia or Beaumes-de-Venise. To serve in a salt-rimmed glass, rub a lime wedge around rim, dip in salt, then add ice and pisco mixture. If making up to 1 day ahead, mix pisco, lime juice, and tangerine juice; cover and chill. Add club soda just before serving.